Hoffman Lay-in wireway features 14-/16-gauge steel construction with galvanized finish for corrosion resistance. It comes with eight 0.5 - 0.75-Inch and 1 - 1.25-Inch knockouts. Wireway has an open design on one side that allows to lay wires and cables safely along the entire run without pulling. Straight section lay-in wireway measures 6-Inch x 6-Inch x 24-Inch. 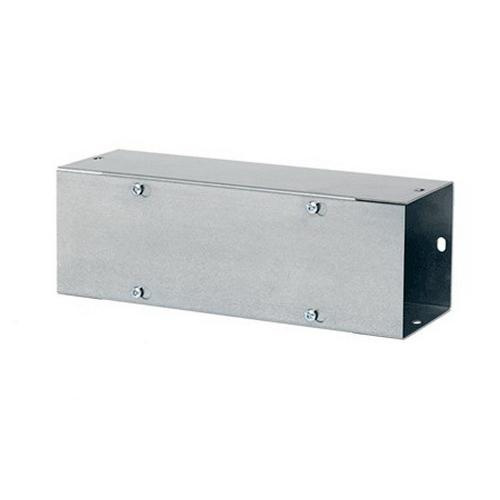 It has NEMA 1 rated flat/screw enclosure for safety. Lay-in wireway is UL listed, CSA/IEC certified and RoHS compliant.